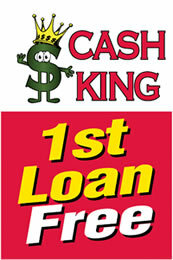 Cash King is your one-stop financial solution center. 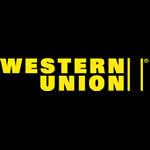 From payday loans to help you when you need cash, to convenient Western Union bill pay services, Cash King is here. We can help you send or receive money with Western Union, and can buy your unused jewelry and put cash in your hand on the spot!! 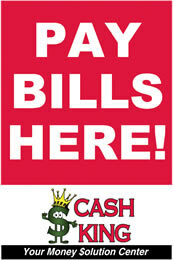 Check out our services tab for more info on all the great services that Cash King has to offer. 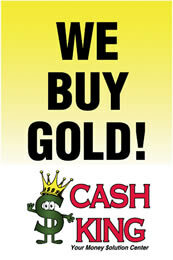 Contact one of our three convenient Cash King locations today and get the cash you need. Our professional and knowledgeable staff is ready to assist you. Click on the services tab to check out all Cash King Indiana has to offer! Nearly 100 School Supplies Donated to Hendricks County Schools! Consumer Notice: A cash advance, also referred to as a payday loan or payday advance is a a short-term loan intended to cover a borrowers expenses until the following payday. Cash advances should be considered for short-term financial relief and not as a long-term financial solution. Individuals facing credit difficulties should seek credit counseling. All loans are subject to approval pending verification of information submitted.